Your hot drink becomes portable thanks to the lid that prevents spilling. 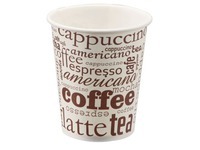 For isothermal cups in cardboard of 18 cl. Pack of 100.